1988 was the year we will never forget. At the North American International Auto Show in Detroit of that year, GMC debuted a classic concept that won the hearts of an undisclosed amount of car and truck fans. To be honest, our heart still skips a beat when we look at this photograph. Every time, it might make us laugh, but it did make a scene — even if short-lived. The bright metallic red GMC Centaur was a beauty to behold. It combined the outward look and practicality of a pickup truck and the interior feel of a car. Its name took inspiration from the Greek mythical Centaur — a half-man and half-horse creature — for its dual identities. While it was the same length as the S-15 compact pickup truck, its lower stance to the ground added a distinct appearance with its minivan-like front. Operating with a trial five-speed automatic transmission, the Centaur featured a mounted inline-six 3.0-liter engine underneath its rear bed. It came with all-wheel drive, all-wheel steering, a self-leveling air suspension, and antilock brakes. The inside of the vehicle included two bucket seats in the front and a bench in the back for three adults. Its dashboard included a fair amount of knobs and buttons to reemphasize the passenger car environment. 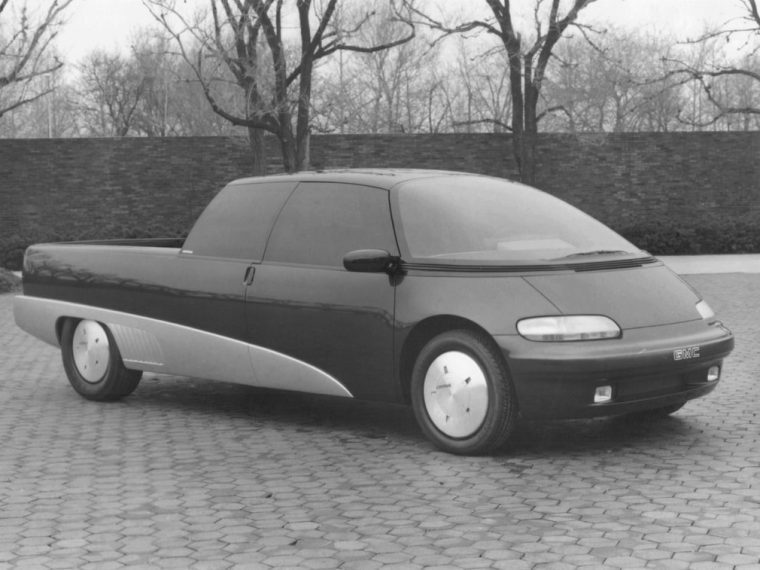 We may have gotten over the fact that GM never took the Centaur to production, but we are grateful that they ran with some of its creative features on the GMC S-15 and Chevy S-10.